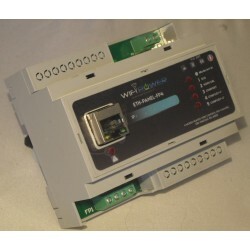 As part of a new installation or during an electrical renovation, for a home, a business, a factory, offices, communal facilities, the ETH-PANEL products range will allow you to remotely control your circuits electric by ETHERNET. This range includes others, a new scheduler making the control circuits autonomous. 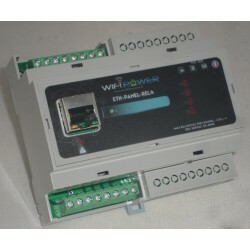 You order your circuits from a smart phone, tablet, computer, or a home automation box through a simple web browser without special application. Responding to CE requirements, made in France, the ETH-PANEL products are designed to be installed quickly and easily in the electrical panel beside the circuit breakers and fuses. 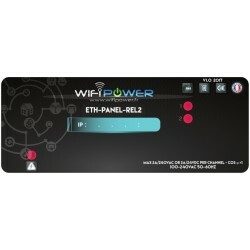 ETH-PANEL There are 4 products. 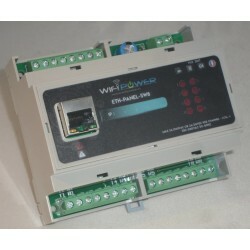 Drive, up to 4 heater zones with pilot wire, by ETHERNET, control in 6 official modes on each zones.Scheduler included.